A new UK pilots’ union has been certified by the Certification office in the UK. 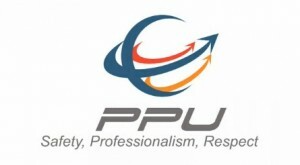 The Professional Pilots’ Union (PPU) was formed on 26 November 2012 and has been established with the aim to ‘refocus professional pilot representation back to professional pilot members’. The PPU was launched after a poll of 548 Virgin Atlantic pilots in June 2012 returned a 76% response and 87.4% vote in favour of a new union. The new union states it is a web-based ‘e-union’ using technology to benefit its members. Currently, membership is restricted to pilots from Virgin Atlantic Airways. However, it is the PPU’s intention to open up membership to pilots from all UK airlines in the near future. The PPU has stated a need to combat ‘the monopoly of pilots union’ and has been established in response to ‘a clearly expressed need for an alternative’. Other UK pilot unions include the long-established British Airline Pilots’ Association (BALPA) and the Independent Pilots Association (IPA) which was formed in 1991 by BALPA members.